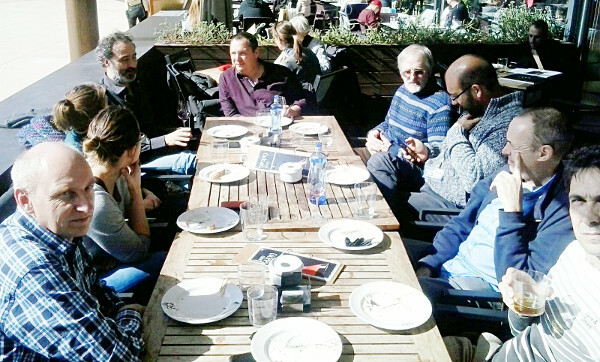 The LIFE EBP kickoff meeting took place in Barcelona on March 1st-2nd 2016. The meeting was attended by the coordinating and associated beneficiaries (CTFC, BTO, SOI, ICO, NATAGORA, SOVON) and the Commission LIFE technical monitoring team. The meeting was very useful to clarify some key administrative and financial aspects with the Commission, to review the project actions and to plan the work for the forthcoming months. The meeting attendants during the lunch break.